A brand a new whisky hitting the UK market from India. 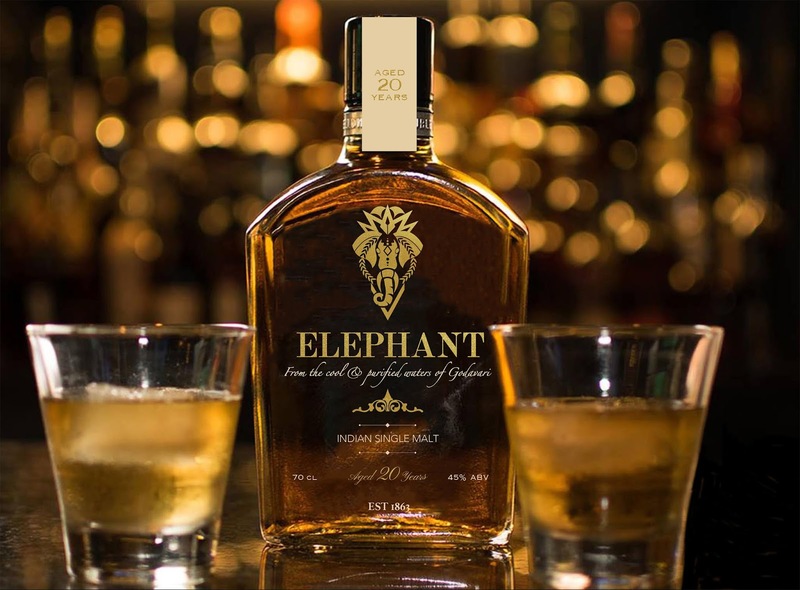 Elephant differentiates itself by being distilled only in India and is one of only very few Indian Whisky's imported into this country Influenced by a story created by myself based around an Indian Emperor; this whisky caters for the royalty and aims to be placed amongst the ‘upper class’ society. Extend the brand into the physicality of it’s packaging and environment with due consideration to target audiences and any rituals that may be associated/appropriate and probably differentiate between the two products and potentially different target audiences. This whisky brings together the best of our distiller’s and art. First, our barrel makers ‘slow-toasted’ these barrels to bring out the rich flavours and aromas of the wood, creating a contemporary expression of an 1863 barrel. 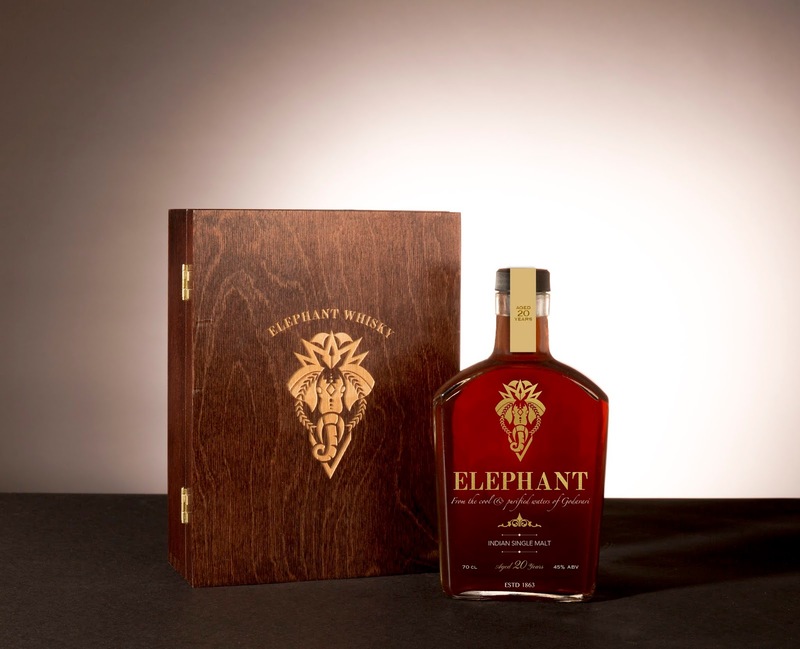 Then, our master distiller barrelled and finally bottled this edition of elephant whisky at 100 proof, so that all of the rich flavour finds its way to your glass. The result is a delicious, complex whisky, a taste of history in the making. There are two products - A 20 year Single Malt and a Blended Whiskey. The target audience for both - An elite upper class of individuals who care and dare to change the world. They are passionate, zealous and honourable. The product and packaging is highly integrated with the brand story. Every aspect of the product complements one another. The identity gives an inviting vibe. The Crown on the top gives the logo a sense of pride and is also an ancient symbol for healing which is connecting to the brandstory. The figure in the middle is a Ganesha, the lord of good fortune. He is the lord of beginnings and the removers of obstacles of both material and spiritual kinds. Keeping the letter forms all one height and in a curve gives it a structure and mimics the outer form as a whole. The golden finish of the label gives it a minimal yet elite look. This a premium brand with a rich heritage and the packaging tries to reinforce this. For the expensive Single Malt variant we wanted to add value to the product by introducing packaging that goes along with the brand story and brand values. Thus we added a silk burgundy cloth to depict the richness of the whisky. We use a wooden box with our prized bottle placed carefully between the burgundy silk sheet. Our logo is carefully engraved at the front and the whole box screams minimal and classy.